Pre-Order Xbox One And PS4 Right Now! The Xbox One was announced just last month, and with its main rival, the PlayStation 4, having been properly showcased at this week’s E3 expo, both are now available to pre-order through various retail outlets. At this point in time, the gaming industry is simply assessing its options, with gamers unsure as to which of these two titans they’re eventually going to be selecting. From what we’ve gathered so far, the PlayStation 4 will cost significantly less than its Redmond adversary, with a cool $100 saved in purchasing the PS4 over the Xbox One, although it’s worth considering that Microsoft will be bundling in its Kinect 2 peripheral, whereas those looking to interact with their next-gen PlayStation will need to pay extra for the camera. 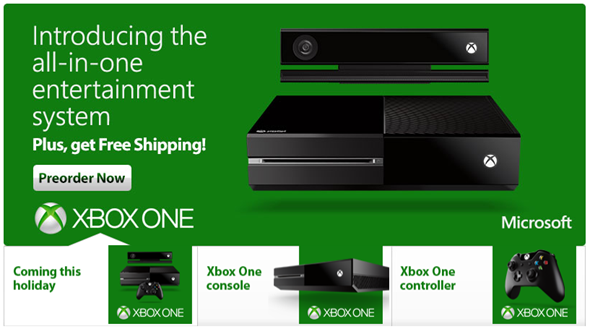 Check out our Xbox One and PS4 price post for more details. Still, whichever way your swingometer is leading you towards, you can now consolidate your affinities by going ahead and making a pre-order of your favored console. Fanboyism aside, it looks as though Sony is really putting the work in to bring the PlayStation brand back on top of the pile. As well as coming in at a much more enticing price bracket, we’ve also learned today that it won’t kick up a fuss if you decide to play a used game on it. What’s more, Sony has stepped out and quashed rumors that games wouldn’t be playable offline, and although they both look a bit too conservative in design to the liking of many, I would have to say that the PlayStation 4 would appear to have the edge. With that said, there’s a lot of time between now and the holiday season, when both of these consoles are set to drop, and with both looking to win over the hearts and minds of consumers, it will be interesting to see the kinds of tactics each party opts to deploy. 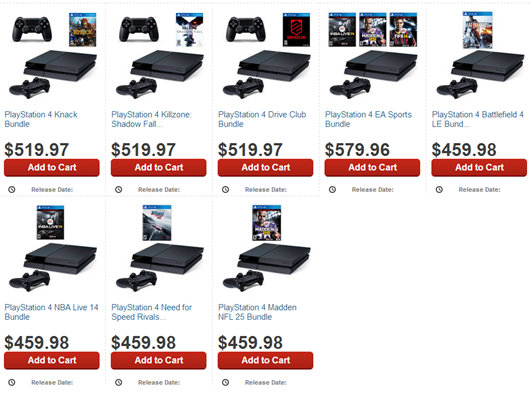 Whatever the case, GameStop and Best Buy have the PS4 ready to pre-order, as do Amazon. If you’re edging towards the Xbox One, you can pre-order at the aforementioned hunts, as well as ShopTo, Walmart and GAME. Those pre-ordering, which console have you chosen and why? Please do share your thoughts and comments via the usual mediums below – it’s always good to hear from you guys!